Travelers in the U.S. have never been more satisfied with the airlines they are flying. The latest survey of fliers by J.D. Power and Associates is good news for airlines that have been criticized for initiating and raising fees in recent years and for uncomfortable seating. That said, the author of the study doesn't consider the rating an endorsement of fees. "This survey shows people are less dissatisfied with certain things when flying," said Rick Garlick with J.D. Power. "They're not crazy about paying extra to check bags or change reservations, but they've become use to it." The survey of over 11,000 fliers measured their feelings about seven factors including cost, fees, baggage handling, reservations and treatment by the flight crew. The score of 712 (on a 1,000 point scale) was an increase of 17 points compared to last year and is the highest rating since the survey started in 2006. While customers say some parts of flying have improved, they still have issues with other parts, most notably uncomfortable seating. "Fliers have told us they don't like sitting in seats that have less leg room, less elbow room and often in seats that are that comfortable," said Garlick. Those surveyed showed their growing acceptance of fees by giving the category a score of 642, up from 618 last year. "People flying don't like paying more for bags or other services. However, these fees are like other fees we pay in life. 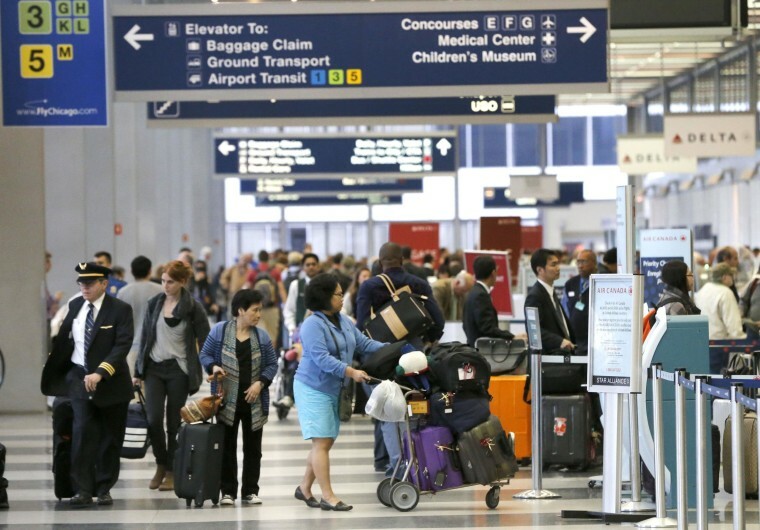 People have become accustomed to knowing paying extra is a part of flying today." Garlick says it reflects travelers becoming more comfortable with fees and the fact they extra charges are here to stay. "People flying don't like paying more for bags or other services," said Garlick. "However, these fees are like other fees we pay in life. People have become accustomed to knowing paying extra is a part of flying today." As it has in past surveys, J.D. Power rated legacy airlines and low-cost carriers. Among the legacy airlines, Alaska was rated highest as the carrier continues to get high marks from customers for the way it treats passengers. Garlick says JetBlue topping the survey for low cost carriers shows the airlines' customers consider the airline offering live TV on flights to be a key difference in the flying experience. "It's clear JetBlue customers see live TV as a differentiating factor," said Garlick.